Mirvac have been avid supporters of Sunnyfield since 2014, when they first volunteered at Sunnyfield Enterprises and gave Christmas gifts to supported employees. 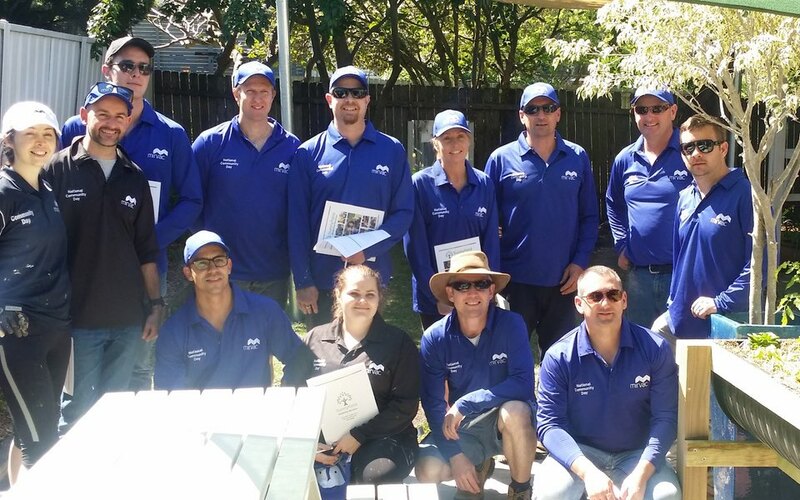 For four straight years, Mirvac have chosen to volunteer at Sunnyfield on their annual National Community Day. At all three of Sunnyfield’s packaging facilities, Mirvac volunteers work alongside supported employees for the day, to learn about their roles and share in their experiences. In 2016, Lilyfield Community Services Hub was a hive of activity as Mirvac volunteers joined forces with contractors, tradesman and suppliers to transform the site. We are extremely grateful for Mirvac’s wonderful hard work, time and commitment and their continued support of Sunnyfield to support people with disability.